New head coach Matt LaFleur’s first training camp as the Green Bay Packers new head coach will include holding joint practices with a preseason opponent in Green Bay. 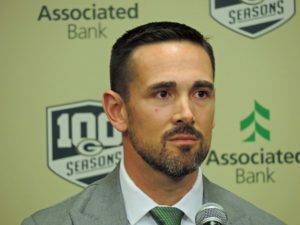 LaFleur told Pete Dougherty-Packers News at the NFL owners meeting today that the Packers opponent in their preseason opener would be the team expected to practice with the Packers. LaFleur said his teams of the last two years, the Rams and the Titans, practiced against another team in camp for a couple of days. He said he found it to be a good way to get starters working against starters without wearing his own players down. The last time the Packers held joint practices was 2005, when former coach Mike Sherman brought the Buffalo Bills to Green Bay. Green Bay Packers veteran free agents Clay Matthews and Randall Cobb agreed to new deals within hours of each other on Tuesday night. Matthews agreed to a deal with the Los Angeles Rams reportedly worth nearly $17 million over two years. Earlier, receiver Randall Cobb agreed to a one-year deal with the Dallas Cowboys worth a reported $5 million. Matthews grew up in Los Angeles and lives there during the offseason, so it was a perfect fit. He played his college football at nearby USC. Matthews reportedly had larger offers but took the deal with the Rams to play close to home. Matthews leaves Green Bay as the franchise’s all-time sack leader with 83.5. 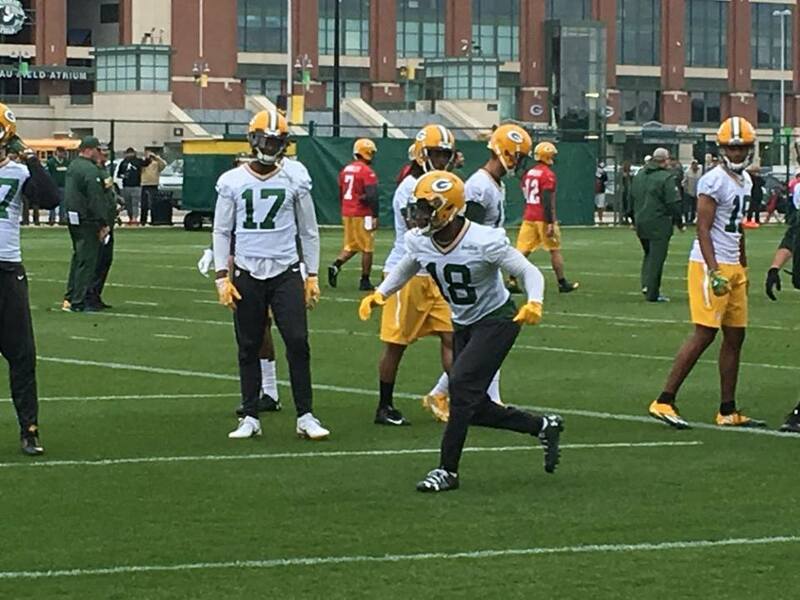 Cobb leaves Green Bay after eight seasons but played in just nine games last season, catching 38 passes for 383 yards and two touchdowns. During his career with the Packers, Cobb has 470 catches for 5,524 yards and 41 touchdowns. He rushed for 352 yards and caught another 47 passes for 596 yards and five touchdowns during the postseason. In December, the Oakland Raiders paid wide receiver Jordy Nelson a $3.6 million roster bonus, saying at the time that Nelson would return to the Raiders in 2019. On Thursday, the Raiders released the former Packer after he caught 63 passes for 739 yards and three touchdowns during an injury-plagued season. The additions of receiver Antonio Brown and Tyrell Williams made Nelson expendable. Nelson would have seen his base salary of $3 million for 2019 become fully guaranteed on Sunday. The Green Bay Packers introduced their four free agent acquisitions on Thursday. Pass rushers Za’Darius Smith and Preston Smith, as well as safety Adrian Amos and offensive lineman Billy Turner signed new deals with the team this week. 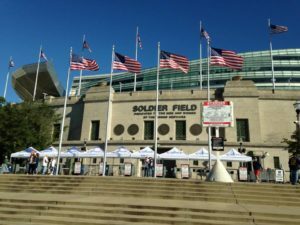 The Packers doled out $182 million for the four, a figure that doesn’t include incentives and escalators. Za’Darius Smith got $66 million in his deal, averaging $16.5 million a season. That is second on the Packers roster, only to quarterback Aaron Rodgers. With big money deals, come high expectations. Marcedes Lewis caught only three passes for 39 yards in 16 games last season, but the Green Bay Packers thought enough about his blocking that they decided to bring him back for another season. Lewis was only targeted four times, catching three of them. Lewis is familiar with new Packers offensive coordinator Nathaniel Hackett. Hackett called plays for two seasons in Jacksonville in 2016 and 2017 and Lewis caught 44 passes for 487 yards and six touchdowns during that time. Restricted free agent wide receiver Geronimo Allison will also return in 2019 after the Packers tendered him the original-round offer of $2.025 million. Other teams can offer a contract to Allison, but the Packers would have the opportunity to match it. If they don’t, they would not be compensated for the loss. Allison finished last season on injured reserve after recovering from a torn abductor muscle. 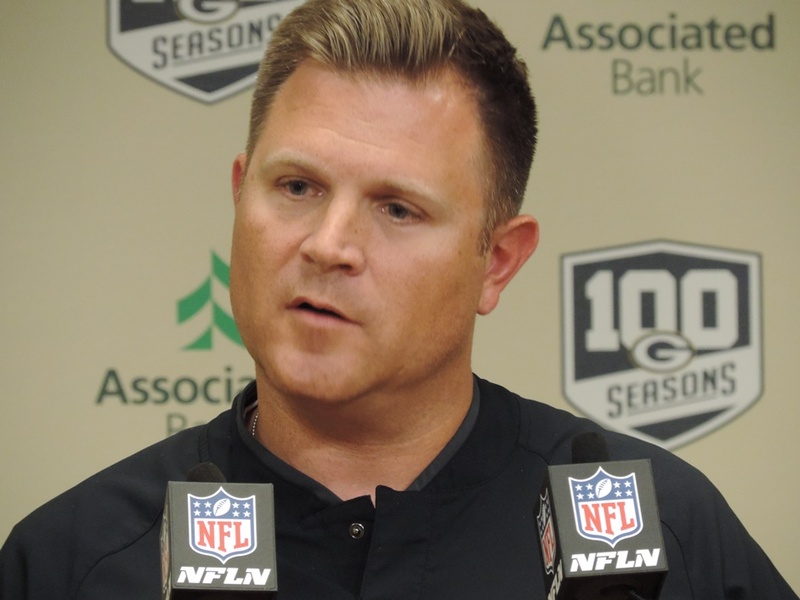 The Packers elected not to tender a contract offer to free agent safety Kentrell Brice and neglected to make an offer to free agent Bashaud Breeland. The Green Bay Packers made it official on Tuesday, announcing the release of veteran linebacker Nick Perry. 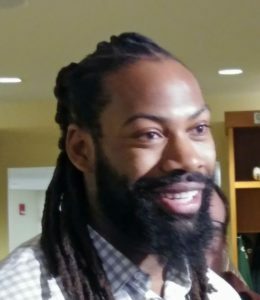 Perry recorded a career-low 1.5 sacks in nine games last season and ended the season on injured reserve for the third time in his seven seasons with the Packers. 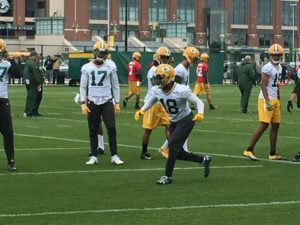 Perry was scheduled to collect a $4.8 million roster bonus on March 15th, which the Packers are now off the hook for. 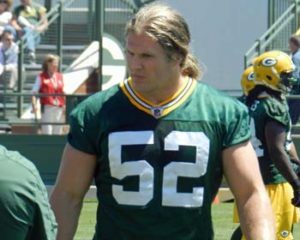 The Green Bay Packers made it clear on Tuesday that outside linebackers Clay Matthews and Nick Perry most likely won’t be a part of their plans moving forward. The Packers agreed to deals with two pass rushers named Smith and added a safety as well. The deals can be finalized when the NFL year opens on Wednesday at 3 p.m. CT. The Packers came to terms with former Baltimore Raven pass-rusher Za’Darius Smith, who had 8.5 sacks last season. His deal is worth a reported $66 million over four years, including a $20 million signing bonus. The second Smith is former Redskin Preston Smith, who gets a four-year deal worth a reported $52 million with a $16 million signing bonus. Smith recorded 24.5 sacks in his first four seasons with the Redskins but only four of those came in 2018. The Packers were also looking for safety help and agreed to a four-year, $37 million deal with former Chicago Bear Adrian Amos. He started all 16 games for the Bears last season and finished with two interceptions. He has started 56 of the 60 games he’s played in with the Bears. Packers GM Brian Gutekunst also added former Denver Bronco offensive lineman (guard/tackle) Billy Turner. His deal is worth a reported $28 million over four years. 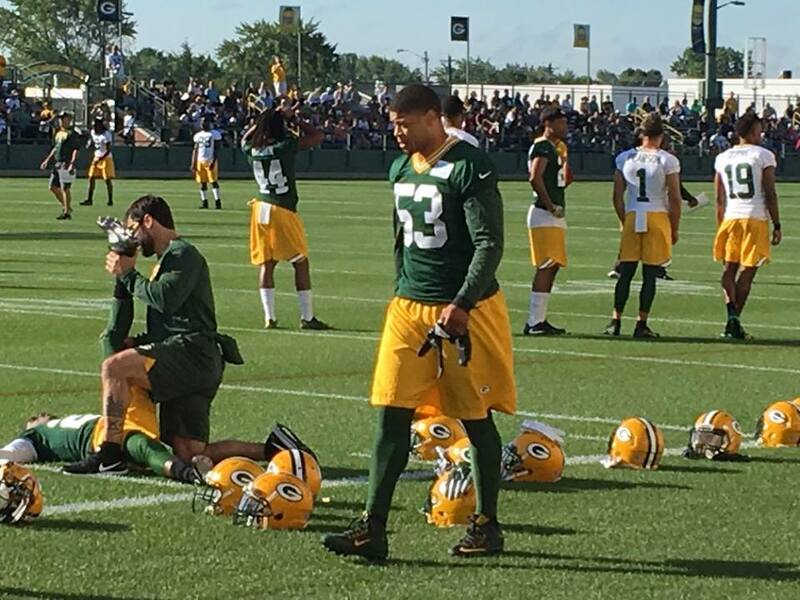 The Green Bay Packers have released LB Antonio Morrison on Friday. 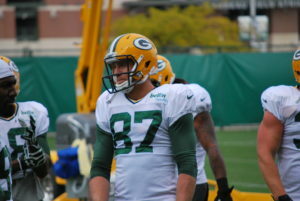 Morrison, who was acquired by the Packers in a trade with the Indianapolis Colts in August 2018, played in all 16 games with eight starts last season and posted 42 tackles (28 solo), four tackles for loss, a sack, two QB pressures and a QB hit while adding four tackles on special teams. Morrison was originally selected by the Colts in the fourth round (No. 125 overall) of the 2016 NFL Draft out of the University of Florida. In two seasons with the Colts, Morrison played in 31 games with 19 starts and registered 154 tackles (91 solo), six tackles for loss and a pass defensed. Former Green Bay Packers fullback John Kuhn will retire as a Packer. The longtime fan favorite played nine of his 12 seasons for the Packers, starting with the 2007 season. Kuhn played his first season (2006) with the Pittsburgh Steelers. He finished with the last two seasons (2016 & 2017) in New Orleans. During his time with the Packers, Kuhn rushed for 601 yards on 196 carries and scored 15 touchdowns. He was a three-time Pro Bowler with the Packers and was selected first-team All-Pro in 2014. The Green Bay Packers had a trip to the Super Bowl fall through their fingers last season, with a difficult late loss at Seattle. 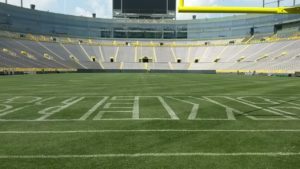 The Packers have put that disappointment behind them and look forward to the 2015 season, a season that has them pegged as favorites to win another Super Bowl. The most storied franchise in the NFL won the very first Super Bowl and now they’re out to win the 50th Super Bowl. Sports Director Bill Scott is back with another exciting season with the Titletown Report, twice daily updates on the Packers, Monday through Friday. Team news, injuries, game previews and post-game reaction. You can find it all right here at WRN.COM.